(1) It would be possible to publish flightpath data mapping Year 2 attainment against progress to Year 5 but this data is not currently provided across the sector. •	Inevitably change takes time to bed-in, particularly when, as here, it promises impressive improvements across every aspect of academic and whole child development. These are very special schools that we believe are worthy of a parent’s shortlist and visit. It is very hard not to be impressed, and actually quite moved. 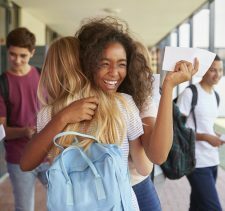 There are so many features that stand-out, but, in particular, the sensitive focus on genuine parental engagement is one that we wish more schools would adopt. Parents, quite rightly, too need support at this young age. Highly recommended. Updated December 2018 – closure of Jumeirah 2 branch. ‘Childhood should be a journey, not a race’ Mission Statement. Taaleem's The Children's Garden. Dubai. Taaleem’s The Children’s Garden [TCG] aims to offer its children both a childhood and education. There are two Children’s Garden pre-schools. The first opened in the Green Community in 2005, this followed by the Jumeirah 2 pre-school in 2009 (now closed) – and the latest, The Children’s Garden, opened in Al Barsha 2 in 2012. First thing to get out of the way, is that we really like this school. There are many significant developments taking place at The Children’s Garden [TCG] that, for us, really showcase how special these schools are – and in particular the extraordinary passion and vision of the new school Principal, Helen Black, for the children under each of her school’s care. 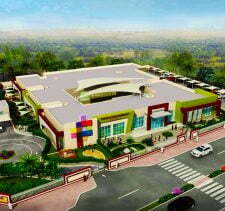 Whilst all the pre-schools are very good, we have concentrated here on the newest school in Al Barsha. In terms of location, TCG is very much a hidden gem, located next to the park within a quiet residential neighbourhood. The building is designed on a single level and the whole feel is bright and airy. We really liked the reception which is very warm. Piped classical music, in practice, is very welcoming and some very high quality displays of children’s work are clearly designed to celebrate achievement. Two sofas and a coffee table, with low level majlis style seating, make for a natural meeting place for parents and the school – and we like the placement of the Principal’s Office within this area, rather than its being remote, so that barriers between parents and leadership are, unlike the case with many other schools, minimised. Children are accepted from as young as 20 months (Nursery) and leave at age 6 (KG2). A number of children do move to Primaries after KG1. Options in Nursery are either 3 or 5 days and there are full 5 day options for Pre KG to KG2. There is a 10% discount being introduced for the third and subsequent children. Fees will be maintained for 2017-2018 and can be paid in 3 instalments. By way of background, The Children’s Garden’s curriculum, “The International Curriculum for Language and the Creative Arts” (ICLCA)), developed within Taaleem in-house, is, we believe, deeply thoughtful and unique. ICLCA incorporates, within its own unique structure, a number of British EYFS and PYP strategies – as well as being enriched with languages and a deep-seated conviction that education must be brought alive for each individual child. An example of one English national Curriculum feature used within the ICLCA framework is that all English classes use the UK based program of Letters and Sounds when learning the English language. This has also been adapted for use across both the Arabic and French classes. The curriculum is very much an evolving one, and is best described, as of January 2017, as very structured, policy-driven, measurable – and inclusive. One element of the curriculum, as we found it, is the impressive emphasis on STEAM and ensuring that boys and girls are equally nurtured in their gifts across all subjects. Curriculum demands are supported by significant investment in facilities so that they can deliver for children. For example, we like the new Creative mathematics room – and the Engineering and broader technology suite is very impressive and clearly inspiring the children. Both of these are stand-out at this phase – and critical for preparing children for the later demands of a rapidly evolving concentration on STEAM across later school provision quite regardless of eventual curriculum. With ICLCA, Taaleem has sought to answer the fundamental and competing demands that education at such an age must be child focused, and must nurture and protect childhood, whilst also meeting the academic demands of later all-through provision. Children must be equipped with an academic framework to excel and be able to move seamlessly from childhood to being young people. These complex and competing demands place untold pressures on parents seeking to choose a school that will provide the best educational start for their child(ren), whilst protecting the childhood of young children that all too soon loses itself in the heightening demands of later education. The Children’s Gardens pre-schools share an approach that seeks to deliver on the traditional academic demands to equip children with the building blocks of knowledge across Mathematics, Literacy, Culture, Language and the Arts, whilst taking a steadfastly progressive line that “standardized tests that measure only the traditional academic skills are no longer adequate …” that “childhood must be a journey not a race” and that each child should not be robbed of the “life skills and holistic development” that comes with an education focussed on children’s individual gifts and ways of looking at the world. Pre-school education, for Taaleem, can be found in a play-based process of self-discovery, rather than text books, but, unlike with progressive curricular, teachers act as guides to each child on his or her journey. This does not mean, however, that the curriculum is not robust, or provides significant measurability. 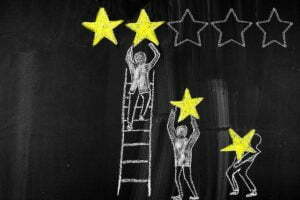 This is critical, not only so that the school can measure – and respond to, the individual needs of children – but also to provide feedback, and ultimately accountability, to parents. This is something clearly recognised by Ms Black. More on the curriculum can be found below. It is worth noting, however, that to work, Taaleem is passionate that children should be given their own space, in their own schools, separate from the all-through schooling that has very different ambitions, pressures and demands. The UAE is dominated by schools that integrate Early Years provision which, for Taleem, inevitably risks losing the self-contained, protected and nurturing environments of schools that are dedicated only to the very specific needs of children between 2 and 6 years. There are inevitably challenges to be faced given the blend of Arabic, French and English families at the school. Teaching in three languages of necessity dictates divisions in the classroom, but TCG handles these well. Whilst each child is predominantly taught in the appropriate Home Room (English, French or Arabic) from Pre KG to KG1 and KG2 in order that the majority of the curriculum will be presented in the native language, the 2nd language is taught for one hour each day– and the children move classrooms to allow this. The 3rd language is taught for one hour a week. The ambitious aim is that every child has the opportunity to learn 3 languages to varying degrees – and has significant skills in two. Managing such an ambitious programme is a challenge, not least because it demands exceptional teachers. The new Principal of The Children’s Garden has responded to this with considerable investment in the professional development of her staff. Ms Black is recognised for being an exceptional educationalist, taking on her new role for Taaleem last year (2016). She oversees and guides all three branches in Jumeira, Al Barsha and the Green Community in Dubai Investments Park. 2016 and 2017 are in many ways transitional years for the school as it beds in the many positive changes she has introduced across the schools. Helen Black first joined Taaleem in 2015, joining Dubai British School Jumeirah Park as Founding Head of the Primary School (our review can be found here) from Dubai’s Horizon School (review here), a dedicated FS-Primary, where she was Vice Principal and Headteacher for almost five years. Mrs Black was Instrumental in securing for Horizons School KHDA Outstanding school over a three-year period between 2013 and 2015. Known for her passion for early years and primary education, Ms Black also has a stated commitment to open door access for parents. Her appreciation for the challenges faced by both parents and young children starting school can be found here. We found many specialist areas for Dance, Art and Music as well as a Sensory Room for quiet reflection. An Auditorium space for assemblies and indoor PE and games in the warmer months of the summer was excellent. Outside there is a water park; jets of water squirt from the floor area. We liked this – it arguably increases the safety for both educational and fun based exploration, and clearly a lot of thought has been invested in its development. A swimming pool, libraries, external play areas (including climbing frames, swings, trikes) complete a very high standard of provision. It is worth noting too how responsive the school is to parents who, following requests, have their own “Parents Room” – and a further “Sibling Room” enables families with nursery and older children to manage a single pick up from school. The facilities are provided with no further cost to parents. Impressive and highly responsive to parents. Nursery children too have a quiet room for a sleep and bring their own blankets and pillows from home to use on the small beds lining the room. We also particularly like the pre-schools provision of an early drop facility from 7;45 am; this is provided free of charge and has been a lifeline for working parents. There is a move for experimental outside play areas and a science area is being created in a shaded area. A new Green Initiative will see the planting of greenery in the courtyard areas, much of it will be cultivated by the children. 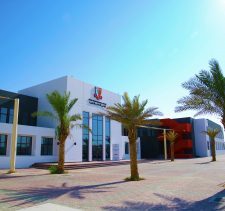 As above, The Children’s Garden school in Al Barsha offer English, French and Arabic whilst the Green Community school offers English, German, French and Arabic. All nursery children, in all settings, are taught in English. From Pre-K, to KG2, children are taught English and German at the Green Community, and English, Franch and Arabic at the Al Barsha and Jumeirah schools. The “homeroom” language is the core language of instruction, with the secondary language taught five hours per week. Critically, Arabic is also delivered as a second language. There is a particularly inspiring rationale on the web site for why Arabic is so important – and building the blocks of all languages at such an early age is a very special, and impressive feature of the Taaleem approach. The pre-schools are all genuinely inclusive. This is important because specialist SEND provision at this age will have profoundly positive consequences as children progress to later all-through provision. For all children who complete the full year in KG 2, Taaleem offers a guaranteed and very broad choice of schools for later all-through provision. In practice this is likely to mean children at TCG Green Community pre-school graduating to Taaleem’s International Baccalaureate founded Greenfield Community School (GCS). 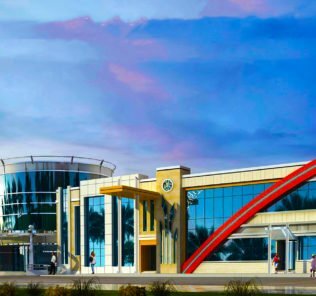 For children in Al Barsha, the obvious through-school will be the Dubai British School Jumeira Park (DBSJP). For children at the Jumeirah Children’s Garden, seamless transition to Taaleem’s Jumeirah Baccalaureate School (JBS) is guaranteed. Popular with Arab girls is the Al Mizhar American Academy. Our review of the Greenfield Community School can be found here. Our review of the Dubai British School can be found here. Our review of the Jumeirah Baccalaureate School can be found here. Our review of Al-Mizhar American Academy can be found here. All are at least good schools – and Dubai British School is on the cusp of being an Outstanding one. Every part of the curriculum has been deconstructed and re-built around ways of delivering its core academic requirements, but in ways that children can individually engage across the ability range. This is particularly clever in the delivery of Mathematics, a subject that is often de-prioritised in progressive schools or blurred into general areas of play. The Children’s Garden, instead, recognises that developing mathematical ability at this age is critical, but also that it presents many children with difficulties when taught conventionally. It is a subject that if not taught sensitively can have the opposite effect to that intended driving children away from an appreciation of Mathematics and at worst creating blocks that will last throughout a child’s later education. 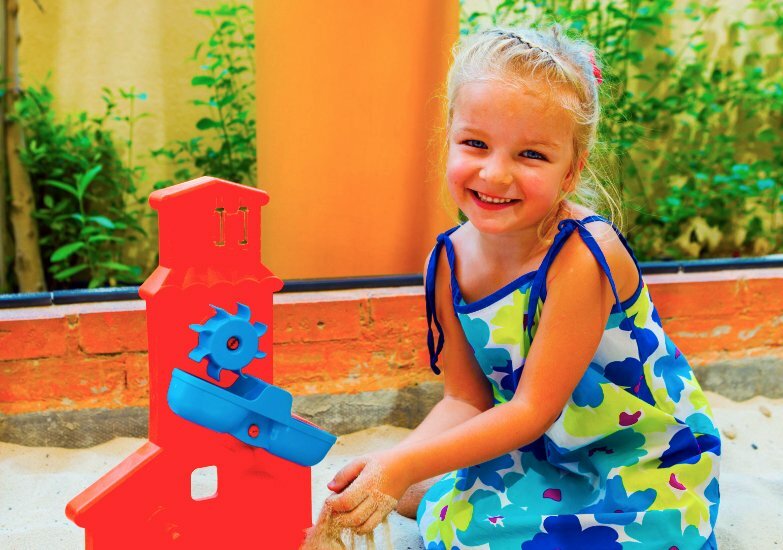 For the Children’s Garden, Mathematics, whilst integrated in the teaching of all subjects, has core mathematical skills taught discretely in the STEAM Room[Science, Technology Engineering, Arts and Mathematics]. Other examples of the teaching of Mathematics include a “Maths Garden” which mobilises all the senses to bring the subject to life to life. There is a particularly focus on patterns to do this and we really like the way that the school makes abstraction real by relating it to the beauty of Arabic architecture, art and design. There are numerous other examples of how the Children’s Garden innovates around its curriculum but the key point here is that over the course of two decade’s Taaleem believes, very genuinely, it has found a way of delivering a very demanding curriculum, that both works for children academically – and as a means to develop the whole child. Independent feedback to our sister site from parents and teachers, uniformly positive and sometimes celebratory, suggests that the ambition meets the reality. We have particular feedback that children are happy too at the Children’s Garden pre-schools. Hopefully the above will give parents enough to inspire a visit to one or more of the pre-schools. Each has its own character and facilities – but the core curriculum and obvious Taaleem commitment to very carefully recruiting its teaching staff shine through each of the pre-schools. These are genuinely impressive pre-schools. We do have a frustration with UAE law that does not permit male teachers within Early Years learning. There is an issue with children, particularly boys, not having contact with male role models. This issue is more pronounced in self-contained pre-schools where the environment is entirely female. This is, however, a small price to pay for what is otherwise a quite extraordinary offer. The children’s Garden are pre-schools worth visiting. We would venture that they are likely to make a significant impact on parents who do. Highly Recommended.